Great Big Tomatoes To The Rescue! Things have been so busy this spring that the garden has fallen a little behind. 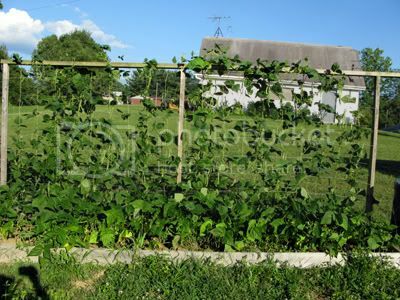 There are still lots of veggies growing out there, but I haven't been able to finish building the new raised beds that will allow me to grow almost twice the produce that I have in years past. I'm still hopeful for the crops that start from seed, but I was getting pretty worried about all the tomato seedlings I had waiting in the greenhouse. 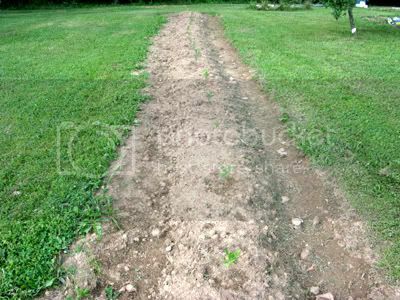 Instead of waiting for the finished beds, I tilled a new area in the yard to accommodate a single row of tomatoes. I was able to quickly mound up the soil so it is sort of like a raised bed. 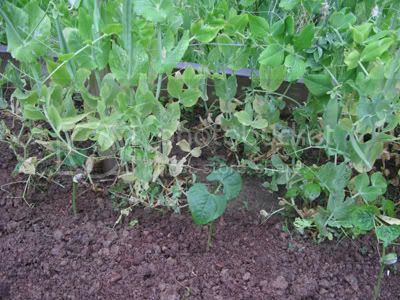 What this new row doesn't have that my beds do have is great soil. I add loads of compost to the raised beds. 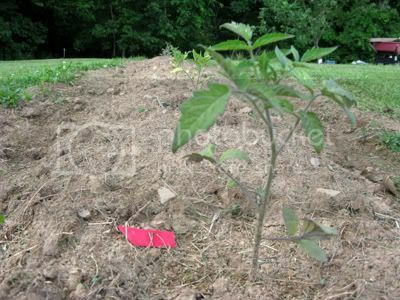 This tomato row is just the ordinary dirt from the yard. Since I don't use any chemical fertilizers, how am I going to keep these tomatoes healthy without compost? I'm using Great Big Tomatoes ! 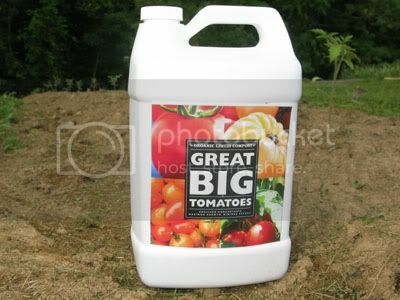 Great Big Tomatoes is a wonderful product from the Great Big Plants company. 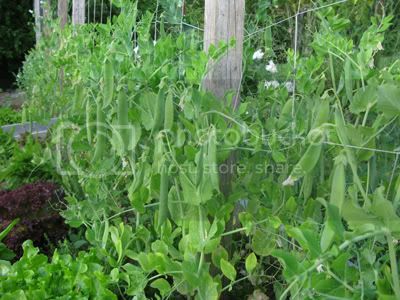 I have used Great Big Plants for the past few years and wrote about it here. Great Big Tomatoes is basically an organic concentrated liquid compost, rich in the nutrients that tomato plants need to grow big, healthy, and delicious. I just learned about Great Big Tomatoes and am excited about using it. 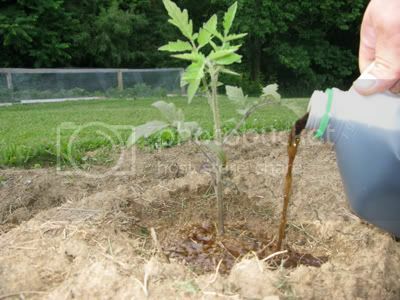 All I have to do is mix a little in a gallon of water and use that to water my tomato plants. Easy. I'll give you an update later in the summer when these plants are big and beautiful. I'm glad I was able to move some of these tomatoes out to this row method. When I do get my new beds finished, I will now have room for many other veggies. But I don't think I could have put my tomatoes in the new row without Great Big Tomatoes . I'm glad I found out about it.